On land or sea, a quality subwoofer is a must if you're serious about sound. On land or sea, a quality subwoofer is a must if you're serious about sound. 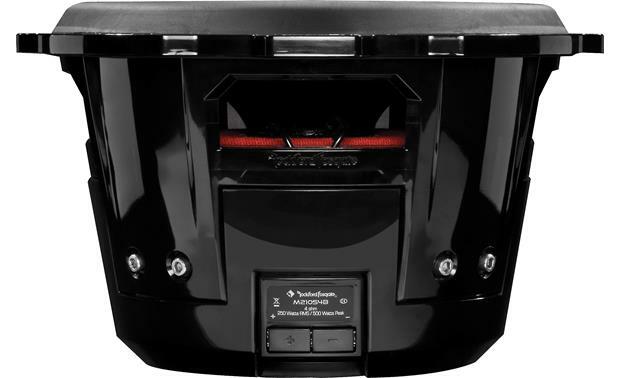 Rockford Fosgate designed their PM210S4 marine subwoofer to bring booming bass to your boat, with plenty of power and rugged True Marine Grade components. This 10" sub features a rugged, removable stainless steel sport grille that looks great and stands up to blistering sunlight and damaging moisture. Underneath the UV stable Centrex® injection molded shell and durable Thermo-Plastic Elastomer (TPE) surround, you'll find a polypropylene cone that's treated with UV inhibitors, plus a moisture- and tear-resistant Aramid fiber spider. This sub's suspension is designed to stand up to the pounding of big wakes and choppy water, so it'll never miss a beat at high speed — and neither will you. Powerful enough for bass-heavy music and versatile enough to work in sealed, vented, or infinite baffle installations, the PM210S4 is a great choice for anyone who's building a serious marine stereo system. Now we got the boom boom pow!! 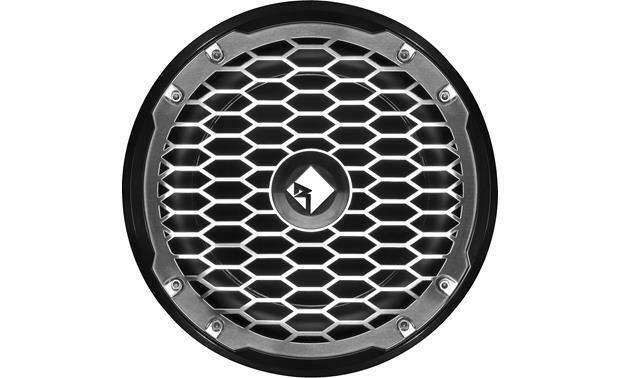 Will this speaker fit in the Rockford Fosgate enclosure for the Polaris General? 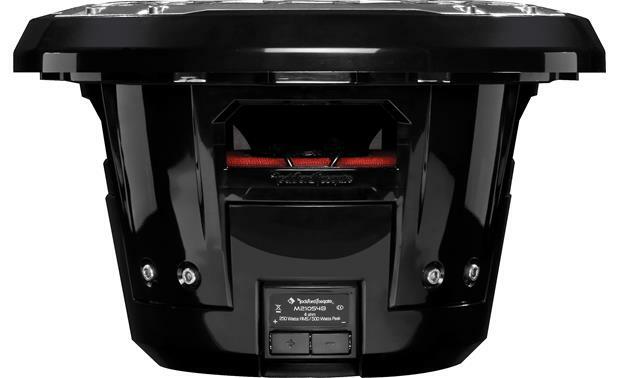 The custom fit subwoofer enclosure for the Polaris General is optimized for Rockford Fosgate's Prime Marine series RM110D2B 10" woofer. The PM210S4 is not recommended for the enclosure. 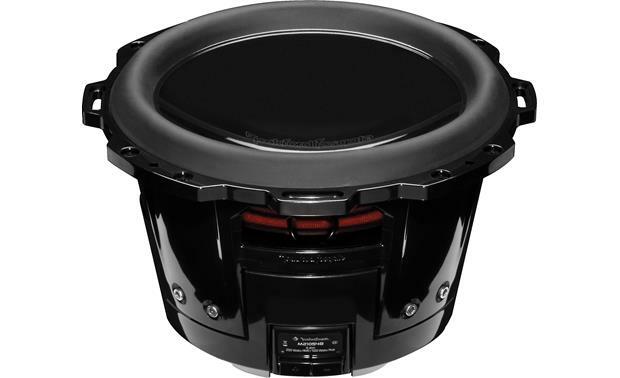 Marine Tested: Rockford Fosgate's PM210S4 marine subwoofer is subjected to ASTM B117 and ASTM D4329 test standards to ensure it can withstand the corrosive effects of salt/fog, as well as sunlight, moisture, and heat. 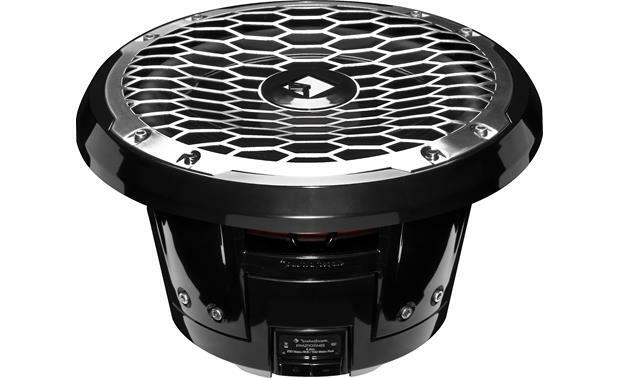 Woofer: The subwoofer features an injection-molded, mineral filled polypropylene cone with UV inhibitors. The TPE (Thermo-Plastic Elastomer) surround is also UV and salt/fog resistant. Centrex Basket: The basket and other plastic parts are made of UV stable Centrex injection molded plastic. Magnetic Shielding: The motor structure is magnetically shielded to reduce the potential for electromagnetic interference. Compression Terminals: The PM210S4 features spring terminals which accommodate pin connectors, single banana plugs, dual banana plugs (standard 3/4" width) or bare speaker wire up to 8 gauge. Enclosure: The PM210S4 can be mounted in a sealed or ported box, or in an infinite-baffle (free-air) application. The optimum internal volume of a sealed enclosure is 0.9 ft³ (accounting for the displacement of the woofer), from 0.65 to 1.0 ft³ is acceptable. The 0.9 ft³ enclosure yields a -3dB point of 60.6 Hz. The best ported enclosure volume is 1.4 ft³ using one 4" diameter x 8.5" long port; this yields a tuning frequency of 48.6 Hz and a -3dB point of 40 Hz. 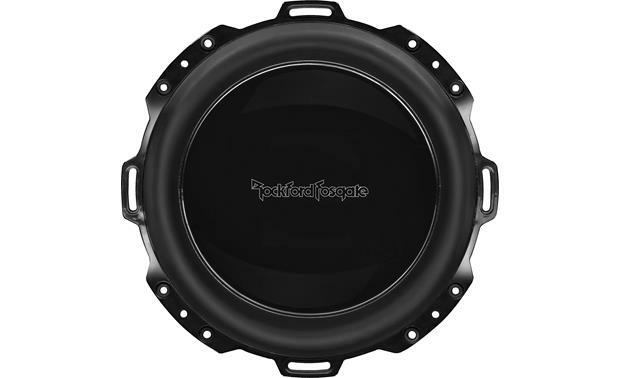 Searches related to the Rockford Fosgate PM210S4B 10" 4-ohm marine subwoofer.